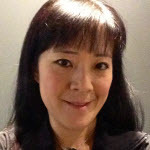 Alix Han is a full-stack UX Kung Fu Master from Seattle, WA with over 17 years of experience. She currently owns and leads the product user experience of Qumulo, the world’s first data-aware scale-out enterprise data storage solution. Alix is passionate about finding the perfect balance between form and function in order to make things easy to use from the get go. Prior to Qumulo, Alix helped companies such as Amazon Web Services, Microsoft, Zillow, Gates Foundation, Discovery Channel, MSNBC.com, amongst many others. She graduated with a bachelor’s degree from the University of Washington. In her free time, Alix spends her time mastering the ukulele, traveling, and enjoying life with her humans, two dogs, and a cat.